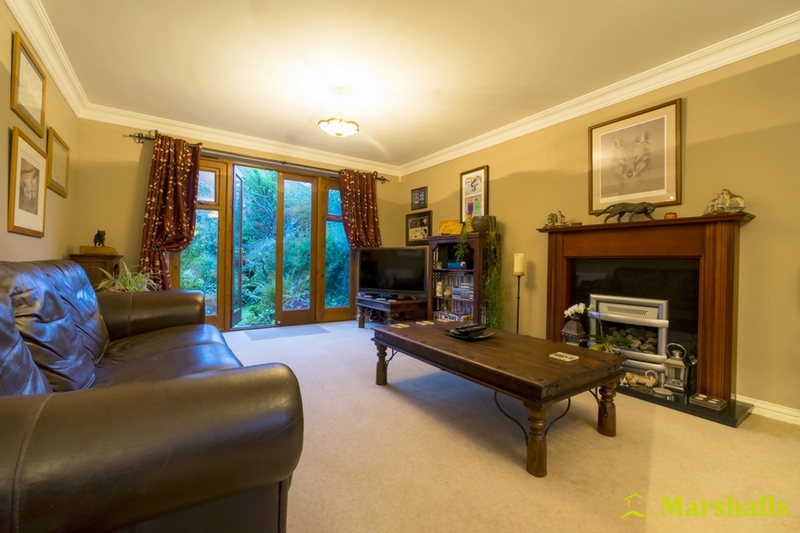 Marshalls Estate Agents are delighted to have been asked to market this well presented five double bedroom property in the sought after area of Middleton. 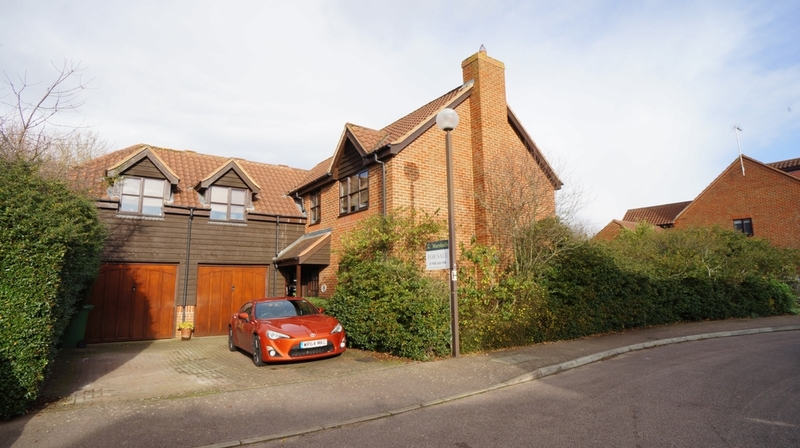 This five double bedroom detached property sits at the end of a quiet Cul-De-Sac and benefits from separate reception rooms, private rear garden, double garage and is a short walk to parkland and Willen Lake. Early viewing comes highly recommended. FRONT GARDEN: Range of shrubs to border, off road parking for two cars. 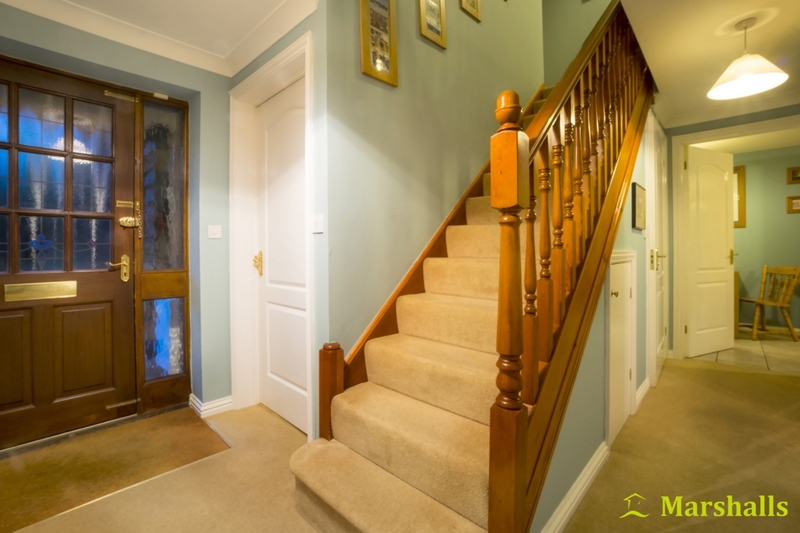 ENTRY: Via wooden door to entrance hall. 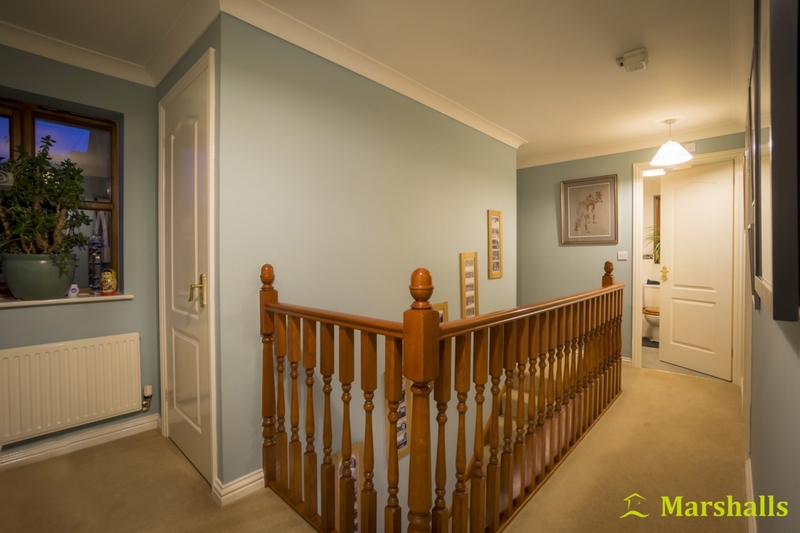 ENTRANCE HALL: Ceiling light, coving to ceiling, stairs rising to first floor, radiator, storage cupboard, doors to: cloakroom, lounge, dining room, study and kitchen. CLOAKROOM: Ceiling light, extractor fan, radiator, fitted with a two piece suite comprising of low level WC and wall mounted hand wash basin, tiled to splash back area. 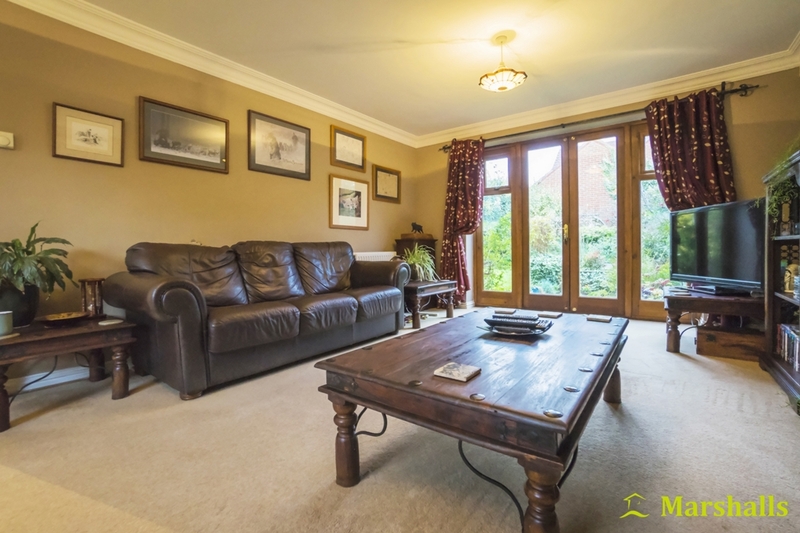 LOUNGE 6.19m (20'3'') x 3.70m (12'): Two ceiling lights, coving to ceiling, double glazed window to front aspect, double glazed patio door to rear aspect, two radiators, feature gas fireplace with surround, television and telephone points. 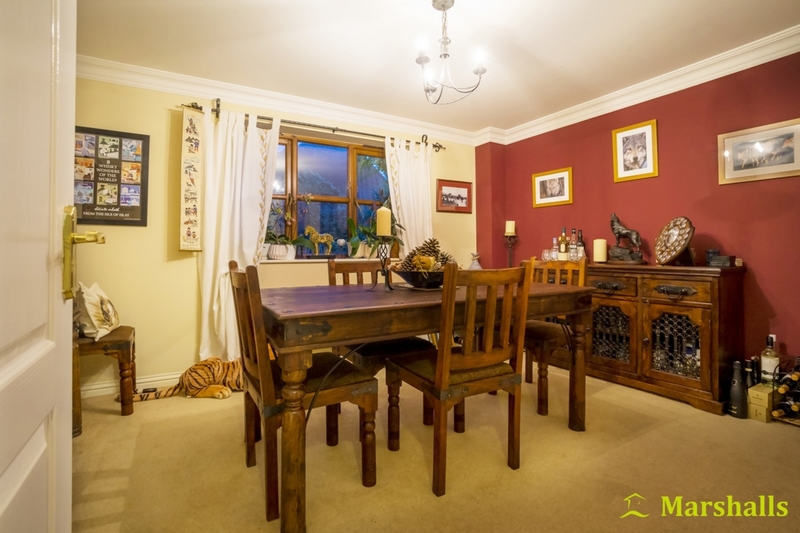 DINING ROOM 4.06m (13'3'') x 3.14m (10'4''): Ceiling light, coving to ceiling, double glazed window to rear aspect, radiator. STUDY 2.66m (8') x 1.79m (5'10''): Ceiling light, coving to ceiling, double glazed window to front aspect, radiator. 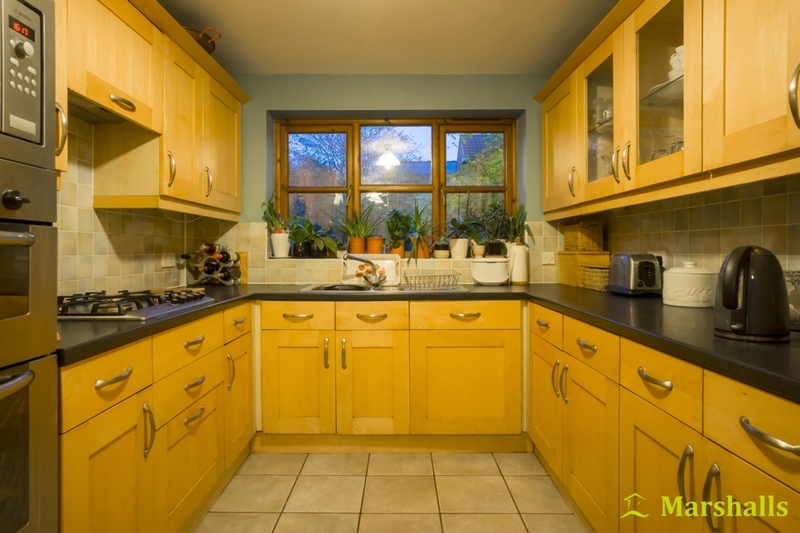 KITCHEN 5.07m (16'7'') x 2.63m (8'7''): Two ceiling lights, double glazed window to rear aspect, fitted with a range of floor and wall units with roll edged work surfaces over, one and a half bowl stainless steel sink unit with drainer and mixer tap, gas hob with extractor hood over, built-in double oven, built-in microwave, built-in dishwasher, built-in fridge/freezer. Television point, radiator, tiled to splash back area, tiled floor, door to utility room. UTILITY ROOM: Ceiling light, extractor fan, double glazed door to side aspect, fitted with a range of floor and wall units with roll edged work surfaces over, single bowl stainless steel sink unit with drainer and mixer tap, space and plumbing for washing machine, space for tumble dryer, wall mounted boiler, complimentary splash back tiling, tiled floor. 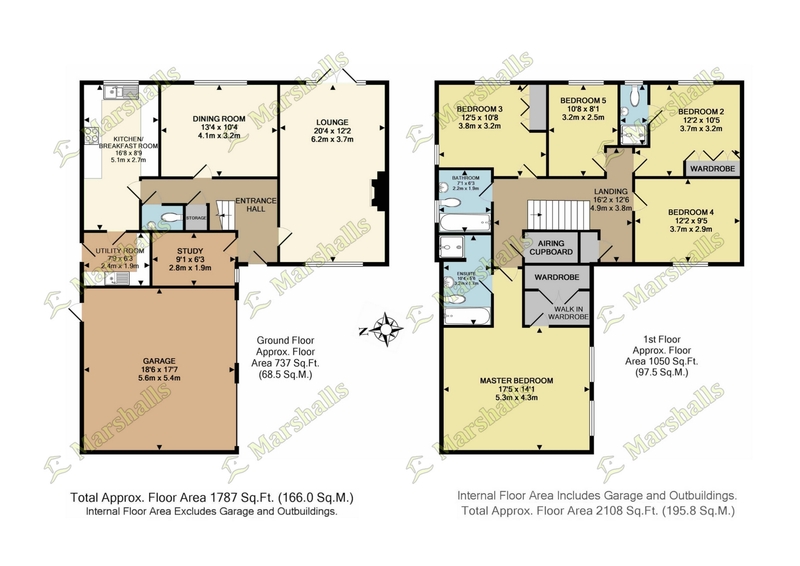 LANDING: Two ceiling lights, coving to ceiling, loft access, double glazed window to front aspect, radiator, doors to all bedrooms, family bathroom, airing and storage cupboards. BEDROOM ONE 5.31m (17'5'') x 4.29m (14'): Ceiling light, loft access, two double glazed windows to front aspect, television point, two radiators, door to dressing room and en-suite. DRESSING ROOM 2.2m (7'6'') x 1.25m (4'): Inset spotlights, built-in wardrobes. 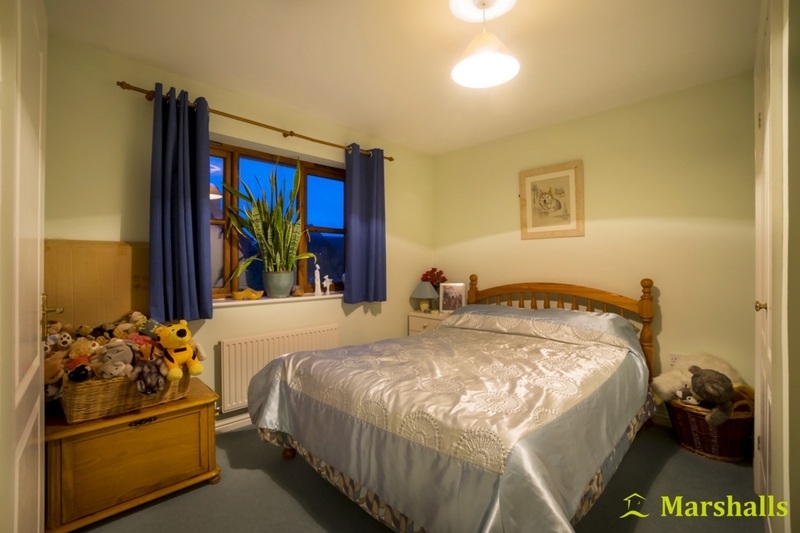 EN-SUITE: Inset spotlights, extractor fan, fitted with a four piece suite comprising: low level WC, pedestal hand wash, single shower cubicle and panel bath with mixer tap and shower head attached, radiator, shaver point, fully tiled walls. BEDROOM TWO 3.25m (10'8'') x 3.18m (10'5''): Ceiling light, double glazed window to rear aspect, radiator, built-in wardrobe, door to en-suite. 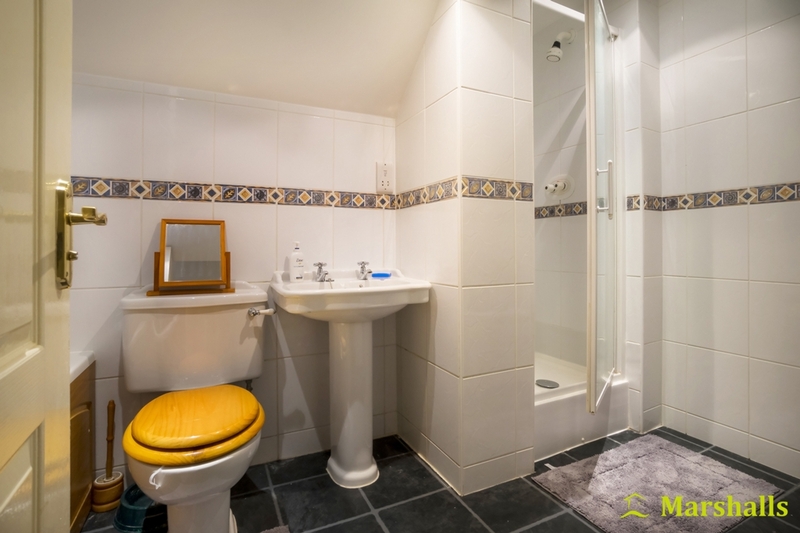 EN-SUITE: Inset spotlights, radiator, fitted with a three piece suite comprising: low level WC, pedestal hand wash basin and single shower cubicle, shaver point, half tiled walls. BEDROOM THREE 3.78m (12'4'') x 3.24m (10'7''): Ceiling light, double glazed windows to rear and side aspects, radiator, built-in wardrobe. 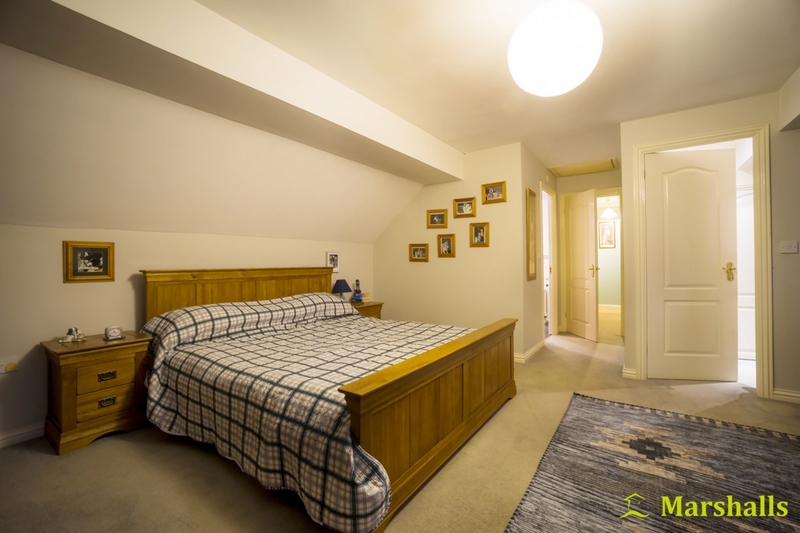 BEDROOM FOUR 3.7m (12'2'') x 2.88m (9'5''): Ceiling light, double glazed window to front aspect, radiator. BEDROOM FIVE 3.25 (10'8'') x 2.47m (8'1''): Ceiling light, double glazed window to rear aspect, radiator. FAMILY BATHROOM: Ceiling light, extractor fan, double glazed window to side aspect, radiator fitted with a three piece suite comprising: low level WC, pedestal hand wash basin, panelled bath with mixer tap and shower head attached, shaver point, tiled to splash back areas. GARAGE: Double garage, power and light. PARKING: Off road parking for vehicles. 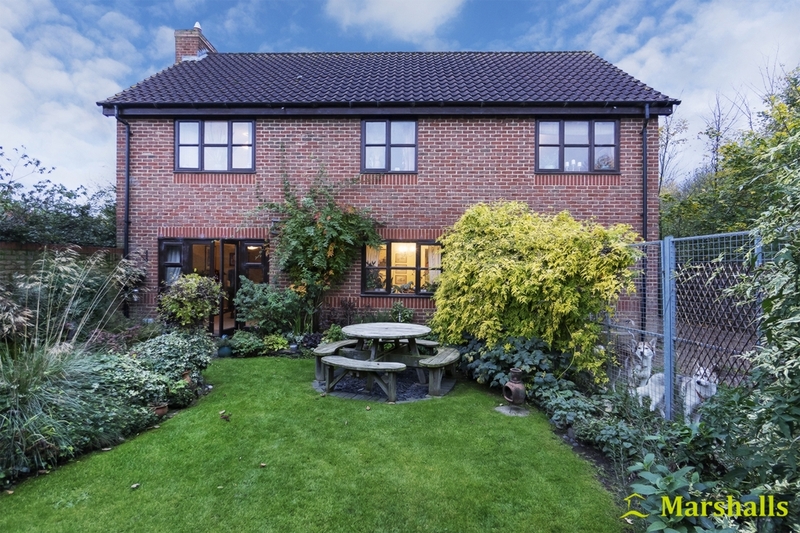 REAR GARDEN: In our opinion. 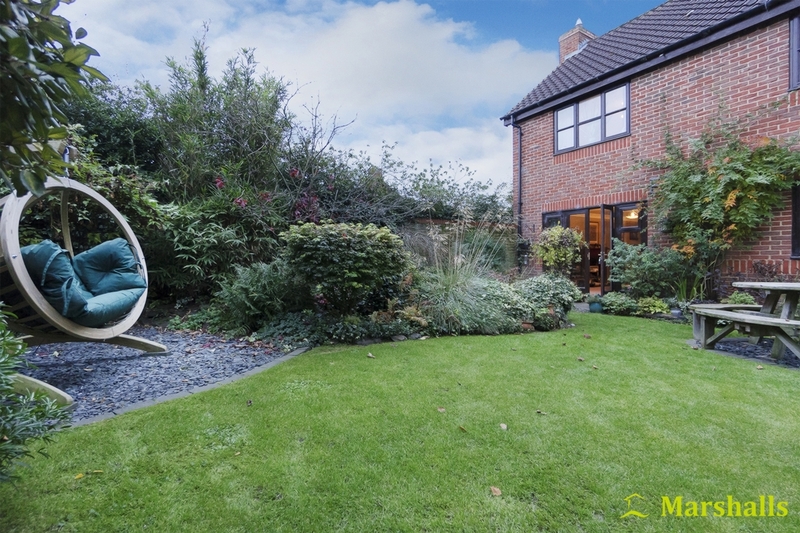 a very private and not overlooked garden being by wood panelled fence and brick wall, mainly laid to lawn with a range of plants, shrubs and trees to borders, feature pond. Part separated into dog running area, door to garage, timber framed shed. Marshalls Estate Agents are registered with The Property Ombudsman and adhere to the Code of Practice for Residential Estate Agents. The code of practice is approved by the Trading Standards Institute.